The 2018 edition of the Moreton-in-Marsh show was held on 1st September on the fields of the Batsford Estate, which it has since 1949. 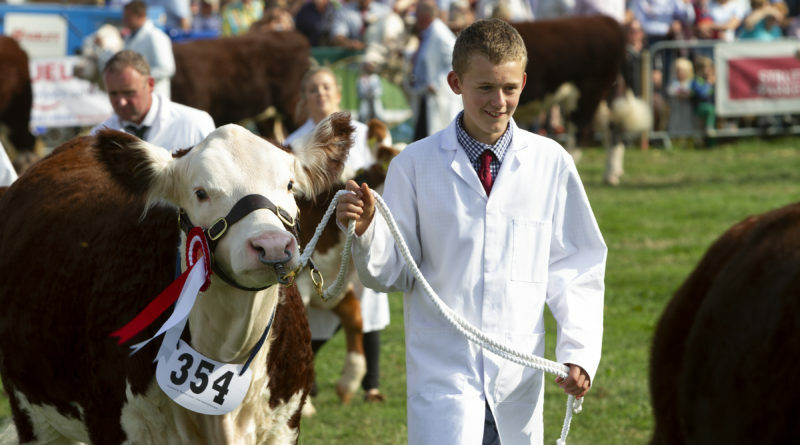 It is the largest one-day agricultural show in the United Kingdom. The Show again brought in huge queues, with numbers not known until later, but should be close to 25,000 or maybe more. 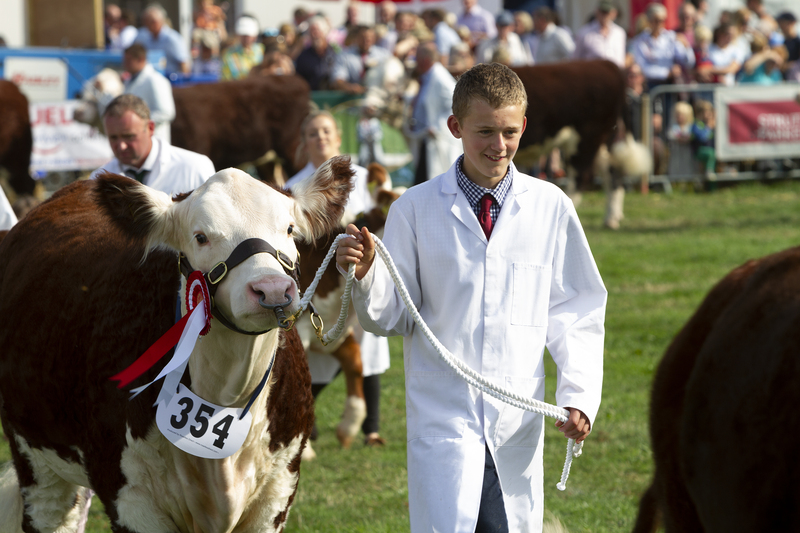 The show had a very wide range of livestock judging including cattle, pigs, sheep and goats along with a massive entry of horses for the many classes and types. There was also a companion dog show area. The trade stands on offer had a range of local food, drink, crafts and clothing available in the multiple sections on the showground. The Members area (sponsored by Butler Sherborn) was very busy during the event with lots of Gin & Tonic (Cotswold Distillery) and beer (Goff’s Brewery) being drunk to complement the food on offer in the members café. With the members list now full the show is looking to expand its members area for 2019. At the end of the afternoon The Grand Arena had the Livestock parade with the winners in the various categories of cattle and sheep on parade. The overall Show Supreme Livestock champion Paul Dawes (Dawes & Bartle) was presented with his cup for his Limousin cattle. Three young handlers were also presented with their awards for Young Handler-cattle (13 year old Ryan Shaw), Young Handler-sheep (17 year old Rose Bostock) and Dairy Cow category Shannon Dawes from Duncan Dawes Farms. Being an agricultural show there was a large range of agricultural equipment on display along with sturdy 4×4 vehicles. The Craft, Food and Drink stalls were extremely busy with visitors sampling the wares before taking up the show offers. This included several drink stalls including Hook Norton Brewery & Pearson’s Cider and many different foods with the ice cream stall doing a roaring trade on a hot day. There were also several demonstrations taking place during the day, in the Warner’s Budgens food demonstration area including cheese and wine taking with Hook Norton Brewery and Paxton & Whitfield, a cooking demonstration from the Ebrington Arms and a meet the producer – Cotswolds Distillery. The Home and Garden tent was busy first thing with the judges reviewing the vegetables, flowers, jams, preserves and children’s decorations, before the doors were opened to the show crowds to view the winners. spaniel display, Terrier Racing, Dog & Duck Show, Lamb National and a vintage tractor parade. In the Family Fun Area, the Arla Dance Company, Cotswold Choir, Mighty Jamma and North Cotswold Gymnastics were performing along with Tractor Ted, bouncy castle and climbing wall activities taking place all day for the children. All in all, this was an excellent show which managed to be on a dry and partially sunny day with large crowds of visitors and competitors in the many classes on show. Now the organising team, after a welcome break will be looking forward to planning the 2019 show.